Students in my beginner course: “How to do a Shamanic Journey to find and bring back your Power Animal” asked me if I could teach them how to do a Shamanic Journey for friends and clients, and especially how to do a Soul Retrieval. Soul Retrieval, also called Soul Hunting, is a shamanic method to find and bring back parts of the soul that were lost. In many cultures, worldwide, we find the belief that sickness and suffering happens because important fragments of our soul have gone missing. This is called “Soul Loss”. It is believed that a Soul Loss often happens because of a shock or trauma, which we experienced in the past, especially in childhood. Think about it like this: at the moment of a painful experience a part of yourself leaves your body. This is a survival mechanism of your soul. In this case it’s saying to itself: “This is too much, I don't want to experience this. I’m getting out of here now.” And this part of your soul, that is leaving the body during the trauma or shock, is not just leaving for a moment, it wants to hide, because it doesn't want to experience something like that again. So if you, or your friends or clients suffer in some way, or feel that something is missing, or they don’t feel like themselves, then you might want to look for the missing pieces of the soul. Soul Retrieval has been practiced for thousands of years from Shamans around the world, yet for many people it is still not very well known. 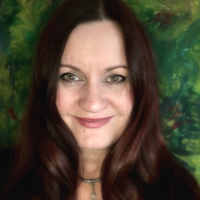 My name is Daniela, and I have learned shamanic methods back in 2001, when I lived in Germany. I had a wonderful teacher who taught me professional aura balancing, trance dance, shamanic journeying and soul retrieval. In my beginner course you have learned how to visit the Middle World, Under World, and the Upper World. You have also learned how to find your Power Animal, to bring it back, which symbolically means bringing back your Personal Power. Now in this course you will learn the basic of how to do a Soul Retrieval. It’s important that before you enroll in this course, you hopefully enrolled already in my beginner course “How to do a Shamanic Journey To Find And Bring Back Your Power Animal”, because you should already be familiar with journeying, and you need to have found your own Power Animal, before you do a journey for someone else. The reason for this is because your Power Animal will normally go with you on your journey to guide you, regardless of whether you are doing a journey for yourself or for someone else. So, are you ready to learn more about Shamanic Journeying? Do you want to help your friends and clients to bring healing to their souls? If you are ready for advanced journeying, then simply enroll in my advanced course: How to do a Shamanic Journey for your Friends and clients. See you in the course. Is Soul Retrieval hard to learn? When Do You Know That You Have Lost A Part Of Your Soul? Where did the Soul go? Did you steal a part of a soul? I wish you wonderful journeys.